This would make a wonderful breakfast. 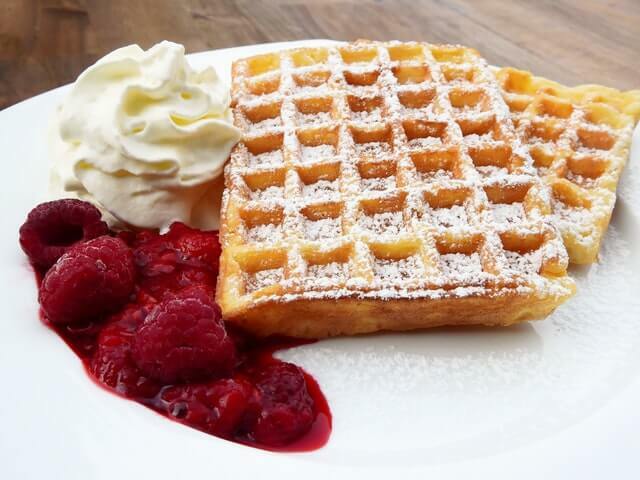 Waffles are popular and the berries add sweetness and great flavor. This could also be served with ice cream as a dessert. Either way, your guests will love it. It isn’t hard to make waffles and they taste so much better than those you make with a toaster that comes frozen. They’re also bigger and you can customize them with different flavors depending on the personal taste of your guests. Sunday’s spent with the author’s grandmothers hold a special place in his/her heart. The smell of berry waffles in the morning left a lasting impression on the author. Although there are many waffle recipes, Grandmother’s is a favorite and easily modified to create a healthier version.